Do you open your closet doors only to find an inconstruable mound of clothes collapsing on you? This means that either you have too many clothes stuffed in your closet or you are not utilizing your closet space properly and efficiently even though you don’t have that many clothes. It’s the way in which you organize your closets and manage your closet space that will leave you more room for storing other stuff. Do regular checks – Don’t wait for your closet doors to break open! Take a look inside your closet at least once every week or month and set aside the clothes, bags, shoes and other accessories that you think you might not use anymore. You could distribute some to your friends as gifts, donate some to charity and sell the remaining online. Even though giving away your stuff may be hard, ask yourself if you’re ever going to wear that piece of clothing again, or if you’ve outgrown some clothes or if they’ve gone out of fashion. 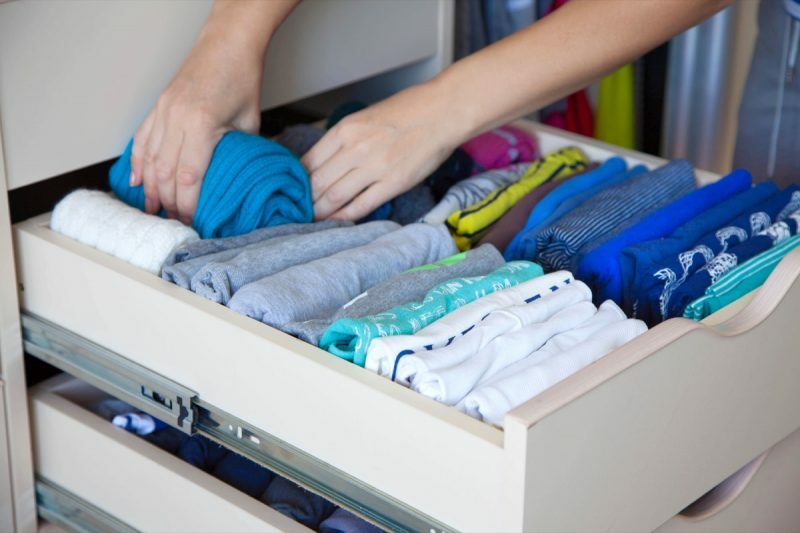 Empty out your closets – This task may be a bit grueling, but at least once a month take out everything – and I mean everything – from your closets and arrange them according to shirts, tops, pants, formals, casuals, or any other categories that you find most useful or helpful. This will come in handy the next time you need to pull out something urgently from the black depths of your closet. Arranging your stuff categorically can help you save loads of time and effort searching for something the next time. Shelving items is extremely helpful too so install some removable shelves in your closets if you have to. Use hangers – Draping your dresses, skirts, and other flowy garments on hangers is a great way to organize your closet space and saves you a lot of time searching for a particular garment. Using hangers makes it easier for you to actually see what you have and not have your best clothes sitting at the back of your closet for years together. Clothes stacked one on top of the other makes it more difficult to find something you want especially if you’re in a hurry and you end up making a mess rummaging for that one particular piece of clothing. Follow these few simple steps to clean out and organize your closets better. If you’re looking for professional cleaning services in London. you can contact Top Cleaners – a home and office cleaning service company based in London.